Tom Service pays tribute to conductor Jiri Belohlavek and talks to pianist Evgeny Kissin, composer Daniel Schnyder and explores gender issues in media composition. 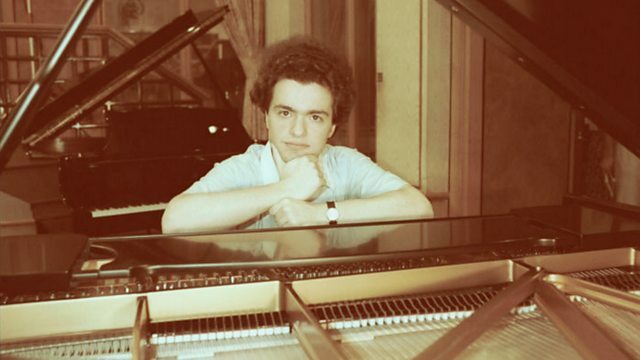 Tom Service talks to pianist Evgeny Kissin about his life in music to date, ahead of the publication of his 'Memoirs and Reflections'. We explore the gender imbalance in media-based composition with screen composers Laura Karpman and Rebecca Dale, and talk to the New BBC Radiophonic Workshop's Matthew Herbert and PRS for Music Foundation Chief Executive Vanessa Reed about setting up the ORAM Awards - an initiative to recognise talented female music and sound innovators. Tom talks to the composer Daniel Schnyder, playwright Bridgette A. Wimberly and tenor Lawrence Brownlee about their opera 'Charlie Parker's Yardbird' which comes to English National Opera later this month, and we pay tribute to Czech conductor Jiri Belohlavek who has died at the age of 71. Tom discusses his life and legacy with conductor Jakub Hrusa and Czech music specialist Jan Smaczny.